Swarovski Crystal Beads, Crystal Beads, Bali Silver Beads, Beading Supplies and much more at INM Crystal, Inc. Item quantities below show the number of packs of each item that would be needed to create this piece of jewelry. Please note: if you click 'Buy Now' after one item, you will be adding ALL of the items below to your shopping cart in the quantities indicated in the Buy Now boxes below. If you do not want to purchase all the items below, please adjust the quantities of packs in the Buy Now boxes to fit your needs and then click 'Buy Now' when you have completed ordering the components for this jewelry item. This bracelet measures 8 inches. 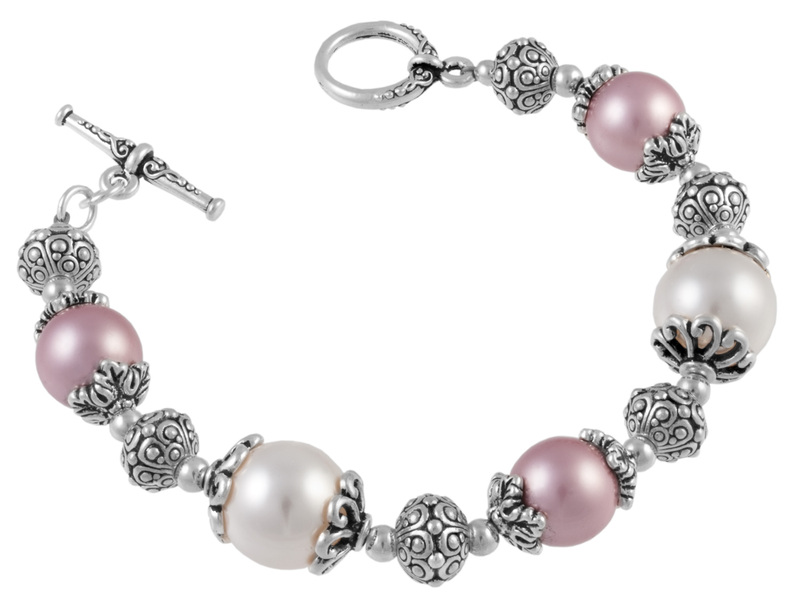 Due to the large size of the beads we recommend making this bracelet about 1/2 inch larger than you usually would.